You won’t have to sacrifice your entertainment needs when creating your new space. 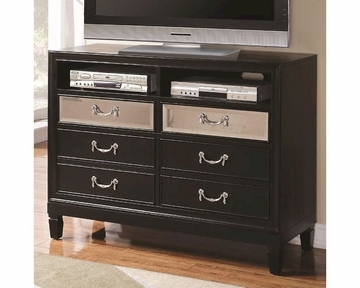 With six drawers, this media chest allows you to tuck away your music and movies without leaving your bedroom. The two open compartments allow you to slide in any electronic device you need easy access to such as a cable box or DVD player. 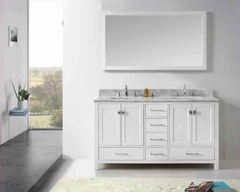 Also featuring glass paneled fronts on the top drawers this media chest delivers practicality in a striking way.